It would be an easy thing to just describe this whole set as country music. That does have an air of accuracy. It's not the complete story, though. There is plenty of blues along with rock music, folk and more here, too. 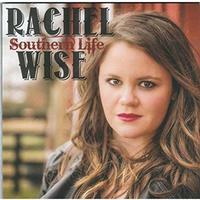 Rachel Wise's vocals are strong, and the songs are all well written and performed. This set is very effective. I like that it doesn't shoot for the pop country style, but rather owns its influences and reference points. That brings a genuine feeling to it. While the vocals bring a real down-home country texture, there is a lot of hard rock built into this in terms of the music. That said, hints of country are there, particularly brought home by the violin (or should I say "fiddle?"). I suppose it might be said that the blues is a bigger influence on the music here than country is, though. Whatever you call this, though, it's a cool rocker with a lot of style. The guitar solo really brings the rock sounds home to roost. That fiddle really brings a lot to this cut right at the start. It's another high energy piece, but this one is more thoroughly country music based. Rock music flavored with a country twang is the idea here. It's another classy tune showcasing a different edge of this disc and artist. This has some catchy hooks and solid backing vocals. The whole picture is effective. This reminds me a little of Bonnie Raitt for some reason. It's energetic and more of a blues rock based piece than it is country. Then again, I can make out some definite elements that make think of Lone Justice on this tune, too. All in all, it's a great change and one of the highlights of the disc. A slow moving ballad, this has a good dosage of country built into it, but there is more of a mainstream pop thing at play, too. I can make out hints of stuff like Mazzy Star on this, too. That Lone Justice element is on hand, as well. Rock and roll with a Southern tilt, this is a powerhouse stomper. 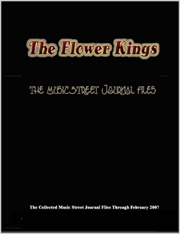 It is packed full of that blues edge and includes a smoking guitar solo. It's also full of class. The country music is back in force here. The vocals bring a lot of bluesy fire on this, though. It's a potent and evocative cut that works particularly well. A balladic cut, this is a pretty one. I love the piano on this, but the vocals are the biggest selling factor. It gets more powered up as the violin rejoins and the arrangement fills out. A bluesy rocker, this is another strong tune. It works really well. There isn't really any country here to my ears. This is all rock and blues right down to the rock and roll guitar solo. It's a great bit of variety and a strong tune all rolled in one. Acoustic guitar based, this is a gentle ballad. It has plenty of country music along with gospel in the mix. The arrangement gets filled out as it continues. The vocal performance is exceptional.